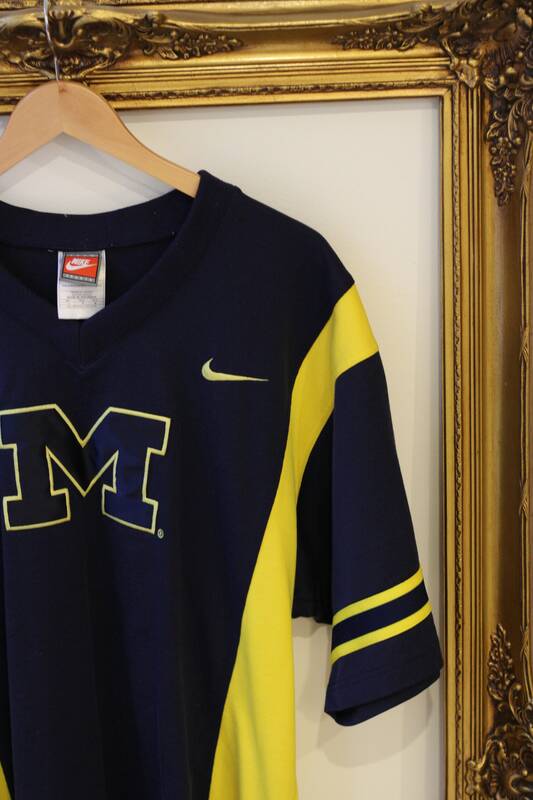 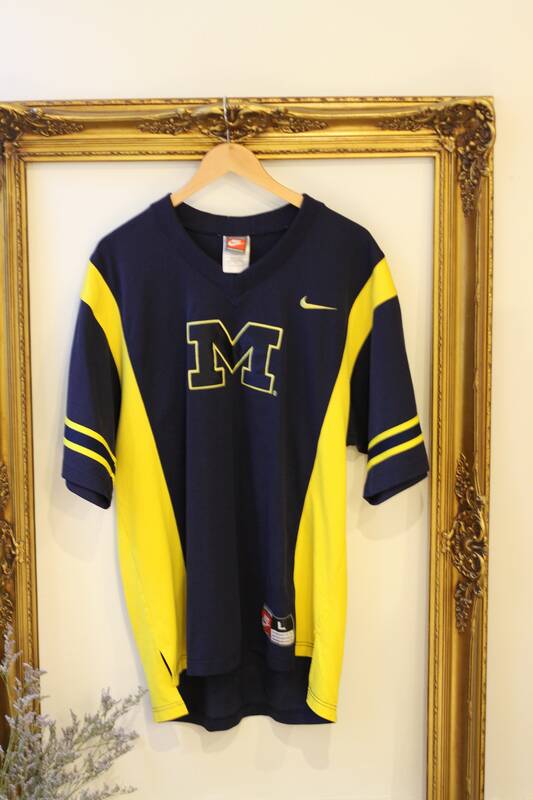 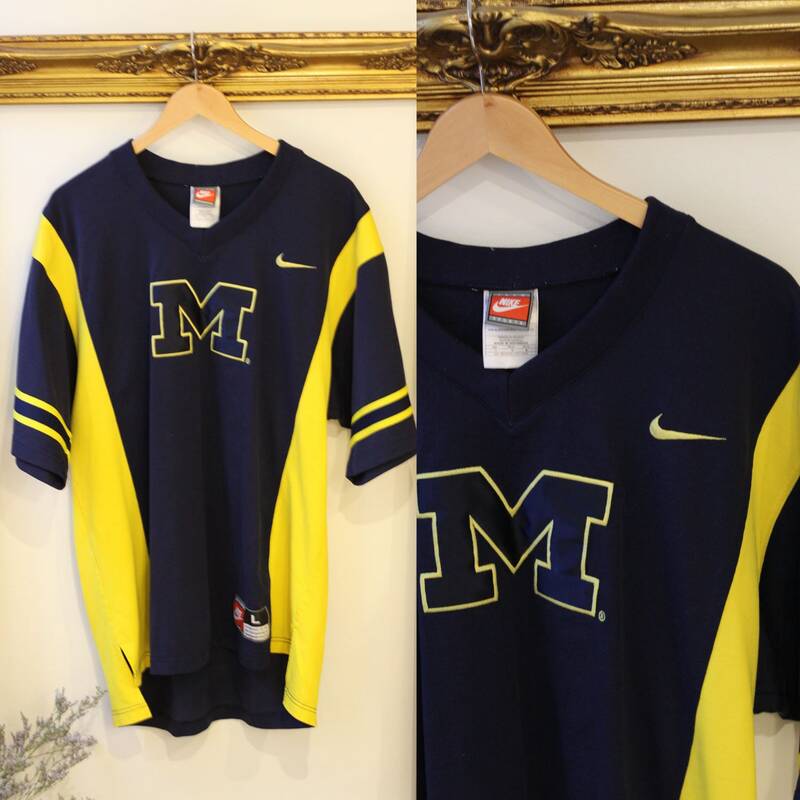 1990s Nike brand University of Michigan short sleeve jersey with vintage logo. 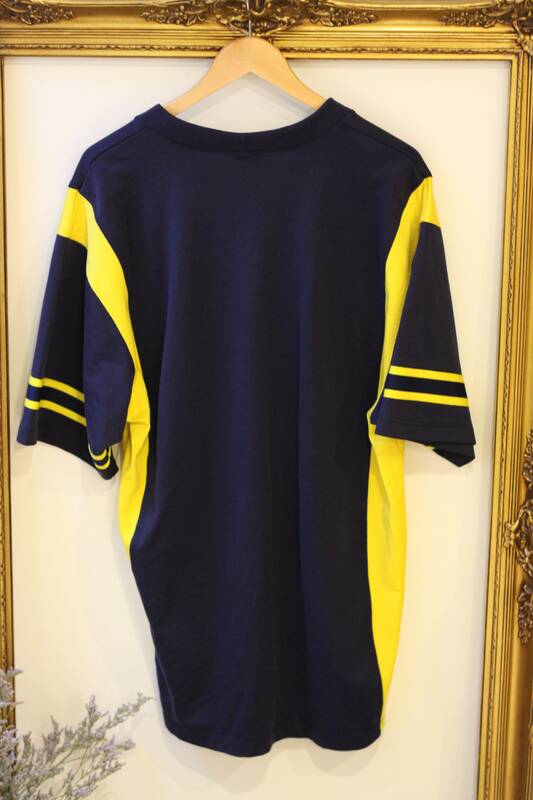 Jersey style with short sleeves and a longer torso. 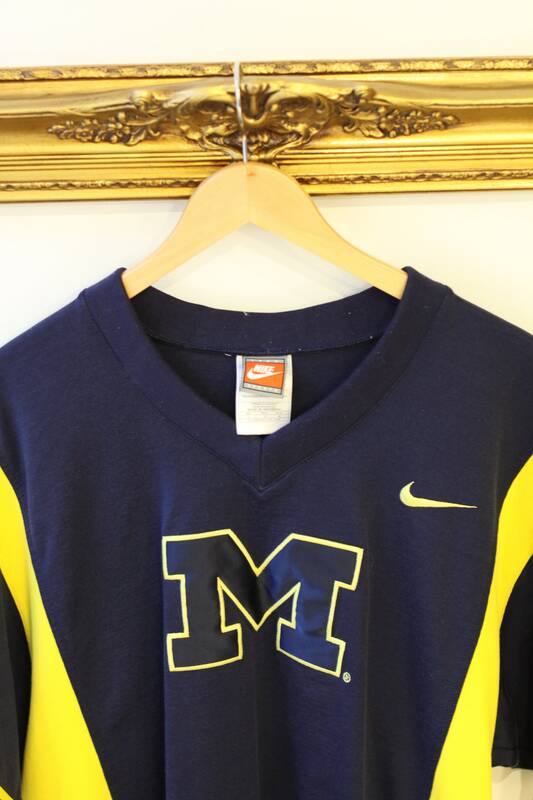 Nike logo is screen printed but the M is a patch.